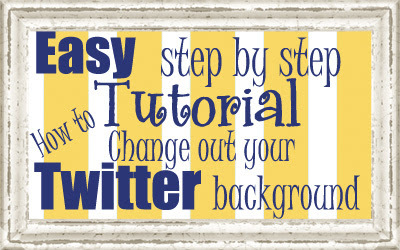 Here is an easy tutorial on how to apply your cute Twitter background!! It’s time again to feature bloggers who are using some of our newest free designs to make their blogs stand out from the crowd! We love to see people who are still passionate about blogging even with the onset of so many social networks! It just goes to show that blogging is special. Where else can you journal with text and photos like you can on a blog? And with our fabulousblog book printing services, you can have a tangible copy of your blog in your home!! She used pieces of the Orange You Glad collection to deck out her blog. I love how she carefully added a photo of she and her hubby in the banner. Then she tastefully added her last name in text on the side. Her blog highlights her newlywed adventures. Nice job!!! Alix is ready for summer and donning the Summer Bliss Collection here. A photo, some heart clip art, and text makes her banner stand out from the rest! She blogs about her fun young life and her passion for her religion. Love it!! Here, she uses the Chillin’ at the Beach banner to add a warm summer beach feel to her blog. She has chosen the minimalist approach by going without the matching background. 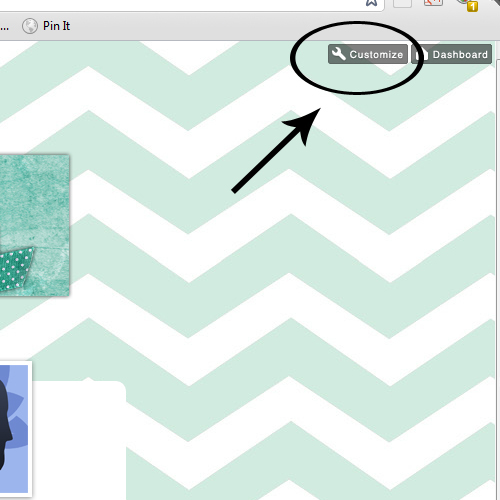 We’ve recently discovered TUMBLR.COM! I know, a little slow right! For those of you who haven’t discovered it yet, Tumblr is a blogging platform that allows users to post text, images, videos, links, quotes and audio to their tumblelog, a short-form blog. 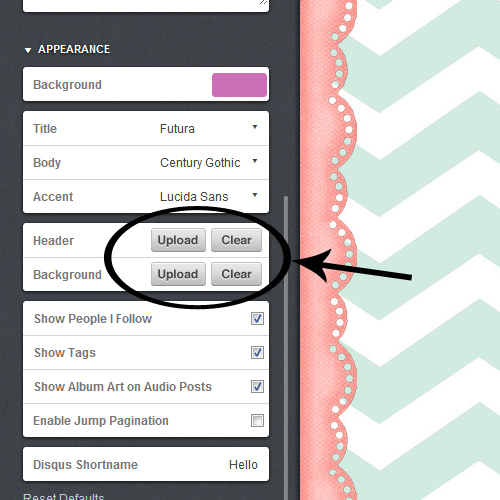 Users can follow other users, or choose to make their tumblelog private. Well of course, our goal (like in everything we do) was to find a way to make it cute! Come to find out, it’s easy as pie! 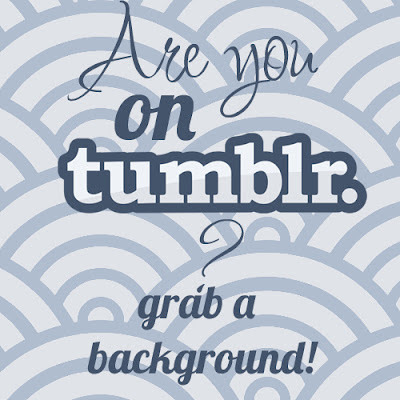 Sign in to your Tumblr acount. You’ll see a screen pulls up with lots of different options for customization. We want the background and banner options.